This clever metal rack can be mounted on the wall to display 4 rolled towels, 4 bottles of wine, or even 8hats. Handcrafted, with a brown enamel finish, it's features a trio of regal Fleur de Lis symbols at the top. 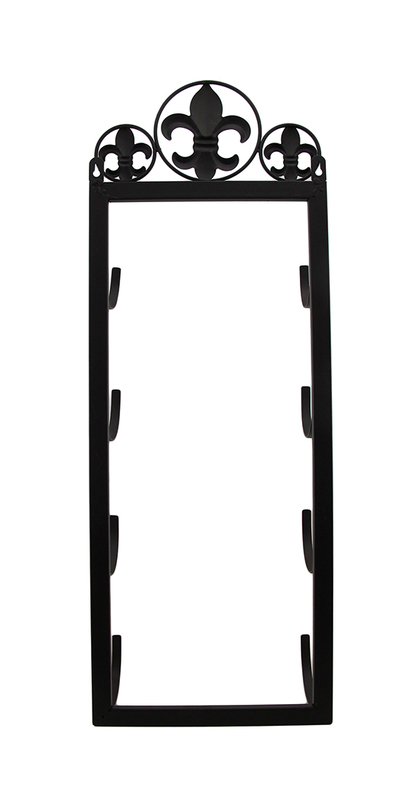 The wall mounted rack measures 22 inches tall, 10 inches wide, and 5 inches deep, and is an especially great fit in a smaller bathroom (mounting hardware is not included).